As I am writing this letter, I am heading into the city on Caltrain, wondering whether this time is different and the weather in San Francisco will be as nice as it is just 20 miles south in San Carlos. It’s unlikely. But I am hopeful that a little overcast will help my mind focus on the dangers that lurk in financial markets. While I can’t predict the future, I can work on reducing the blind spots, so that when asset prices and the economy hit a rough patch, we can avoid being reactive. What has surprised me, is that (geo)political risks have had very little impact on investor sentiment. Trump’s (allegedly) pro-growth agenda seems to be on shaky ground. It is as if investors have forgotten that they pushed up asset prices in hopes of lower taxes, reduced regulations, and infrastructure spending. Maybe some of that will still come to pass, but certainly that is a lot more doubtful than it was a few months ago. Then there is North Korea. No surprise that they continue to test fire missiles, but certainly alarming that their new ICBM can reach Alaska, maybe even the west coast. The most worrisome aspect is that we underestimated their current capabilities and perhaps we are also underestimating the time it will take them to miniaturize a nuclear warhead and figure out rocket re-entry. Containing North Korea will require skillful diplomacy, careful rhetoric, and global cooperation. Those are not strong points of our current administration, to say the least. To be sure, there are always risks and I have stressed in my newsletters that waiting to invest until risks have subsided is probably one of the riskiest investment strategies.It will likely mean you spend some of the best days in the market on the sidelines and run the real risk of falling short of your investment goals. 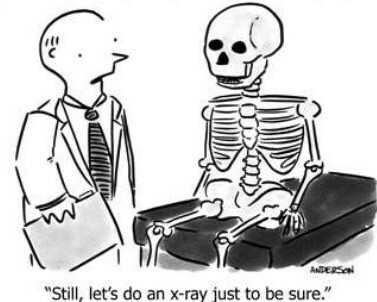 But it just doesn’t feel healthy when the market is complacent and is not reacting to the perceived risks. Why are stock markets so jaded this year? I believe it has a lot to do with Janet Yellen and the Federal Reserve. Low interest rates encourage risk taking and support asset prices. Investors have come to know the Fed chairwoman as someone who is not going to proceed with haste, which means she is not going to take the patient (investor) off the drug (low interest rates) too quickly. With low inflation, and a cautious Fed, interest rates are expected to rise but not too far and not too fast. Add to that, investors’ tendency to invest in yesterday’s performance and you have an environment that favors domestic stocks, despite stretched valuations. It is like a stubborn high-pressure area that locks in the perfect weather. It could last for a while, but it won’t last forever. A topic that is front and center in the financial services industry at the moment is the Department of Labor’s Fiduciary Rule, which went into effect on June 9th. It basically means that financial advisors who have clients that are invested in retirement accounts, will have a fiduciary duty going forward to put their clients’ interests before their own. They didn’t have this duty before, you might ask? Crazy as that may sound, the answer is “no, many didn’t.” The difference between a broker and a registered investment advisor (RIA), is that a broker does not have to put his clients’ interests before his own, whereas an RIA is a fiduciary and therefore does have to put clients’ interests first. At the surface, the Fiduciary Rule seems to be a good thing. The devil unfortunately is in the details. Advisors who already have a fiduciary duty will face an increased compliance burden as well as increased legal risk. If a claim is filed against an advisor for breaching the DOL fiduciary rule, the burden of proof will likely be placed on the advisor to prove the claim is without merit. This could result in advisors practicing “defensive financial advising,” not dissimilar from how doctors practice defensive medicine. There will be a preference for placing clients in plain vanilla portfolios that have a broad following. If those portfolios fail, there will be strength in numbers and it would be hard to go after an advisor for doing what everyone else was doing too. The problem is that the plain vanilla portfolio — 60% stock, 40% bonds, with a heavy emphasis on US stock — is not well suited to deliver attractive investment returns, in my opinion. Perhaps that portfolio made sense in 2009, but not so much in 2017. I do understand the reasoning behind the Fiduciary Rule and it should get rid of some of the egregious practices that clearly are not in the clients’ best interest, such as churning accounts to generate commissions and pushing financial products that put the advisor’s interest ahead of the client’s; annuities come to mind. However, a rule change, does not change a company’s culture, nor does it help an advisor’s moral compass find north. Advisors who got into the financial intermediary business because they were interested in disintermediating clients from their money are not going to wake up suddenly with an enlightened perspective. While the Fiduciary Rule might reduce conflicts of interests, in the end it comes down to the character and caliber of the individual advisor. The fiduciary label will be a batch of honor for some and sheep’s clothing for others. For those of you on the Tesla Model 3 waiting list — I know at least a few of my readers are on it — your wait may soon be over. The first Model 3 rolled off the assembly line on July 8th. At a sticker price of $35,000 with a $7,5000 federal tax credit, Tesla’s promise of a mass-produced electric car under $30k is about to come true. However, most Model 3 owners will probably end up paying more. The reason is that as soon as Tesla hits 200,000 in cumulative car sales, the credit starts phasing out. The phase out is gradual. If you take delivery of your Model 3 in the quarter in which the milestone is reached and the following quarter, you still get the full credit. Thereafter it is cut in half, and phases down from there. The 200,000 will likely be reached in the last quarter of 2017 or first quarter of 2008. If you get your Model 3 towards the end of 2018, you probably won’t drive off the proverbial lot for under $35k. You also have to figure that buyers will want a lot of the features that Tesla is known for, that add significantly to the price, such as bigger battery packs, semi-autonomous driving, and other bells & whistles. For example, most Model S owners payed near $100,000 for their car versus $70,000 for the base model. It will be interesting to see what people actually end up paying; I will be sure to inquire! That was the easy part of the Tesla analysis, the trickier question is what is the stock worth? Goldman Sachs thinks $180, Berenberg thinks $464, today’s price is $323. 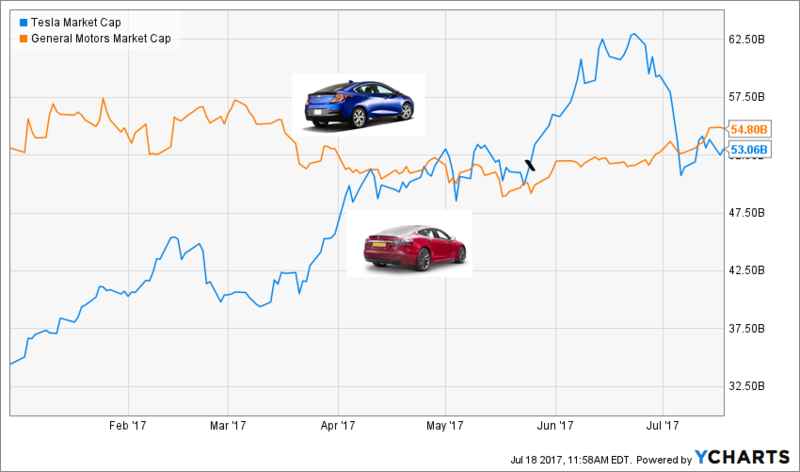 A few weeks ago Tesla’s market cap exceeded that of GM. Then it lost $8b in stock market value when the company’s quarterly sales numbers disappointed. I think the stock is worth whatever someone is willing to pay for it, not unlike other shiny objects. Great fortunes are made (and lost) with speculation, and there is nothing wrong with putting on your moon boots, as long as you know the difference between investing — buying an asset based on its earnings potential per dollar invested — and speculation, buying an asset based on your gut feel that you will find another willing buyer at a higher price. While I expressed surprise at the stock market’s low volatility, it does come at a great time. Perhaps it will allow us to tune out for a while, enjoy summer, travels, and life in its many beautiful facets.